What are some ways to add photography to your office? Why should you? Regular check out or self check out? If you’re anything like me, the less human contact you can have…the better! Your patients are no different. They want to make appointments in your office on their own time, and they don’t really need to talk with your people! Our friends at Localmed can make that happen! 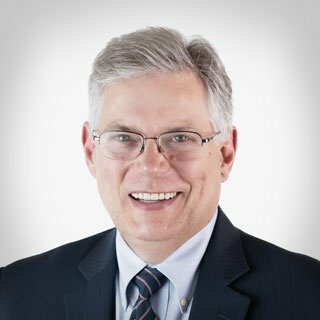 Head on over to dentalhacks.com/Localmed and get a free demo of what they can do for you and you’ll receive 10% off set up just for using our link! Dental Online Training is a new kind of CE. All the benefits of “hands on” CE without the travel! They even supply the materials! It’s a brilliant and cost effective way to learn techniques that you used to have to travel for! 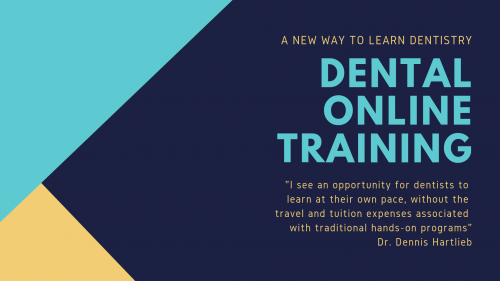 Dental Online Training is so sure you’ll love what they’re doing, they’re giving away 200 free courses! Head over to dentalhacks.com/DOT and claim your class V composite course before they run out! 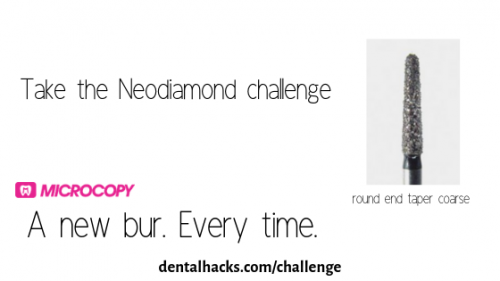 Microcopy wants you to take the “Neodiamond Challenge!” They think that their single-patient-use burs will stand up to any comparison of multiple use diamonds without the hassles of re-sterilization and all the hassles that go along with it. They want you to head over to dentalhacks.com/challenge, request a sample of their most popular crown preparation diamond, the 1116.8C, and put it to the test! We think it’s going to change your mind about diamond burs!